Ethan Hall has a passion and a goal to help our current drought crisis and support Farmers in need. Using his amazing gift of singing and music, he has chosen to raise funds for Rural Aid - Buy a Bale Campaign. Having had such a successful Adelaide Fringe Show "Ethan Hall - From Hiccups to Broadway" in 2018, he has chosen to sing some repertoire from this show, plus some new songs. The show will appeal to all ages, covering songs from Disney, Broadway, and Movies with the added bonus of some of his chosen friends to also provide some variety entertainment. Ethan became a household name in 2015 when at 7 years of age he sang Advance Australia Fair at an Adelaide Bite Baseball game with the "hiccups". The clip went viral overnight resulting in a host of media interviews, both national and international. In 2016 he sang at the Australia Day concert at the Sydney Opera House with well known artists including Kate Ceberano, Jessica Mauboy, Justice Crew, Bachelor Girl and many others. 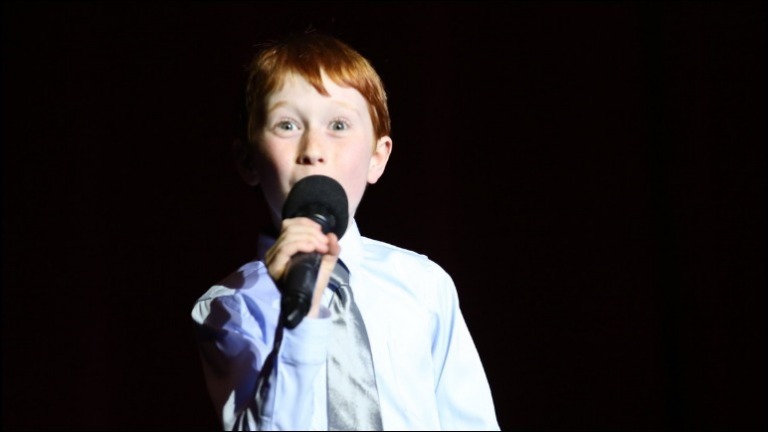 Later that year he opened the Credit Union Christmas Pageant with the National Anthem, and this year he had his own sold out solo Adelaide Fringe Show called "Ethan Hall - from Hiccups to Broadway", a show that he ran entirely on his own at the age of 9. Ethan loves to perform and takes any opportunity that comes his way. Described by Marion Council at the age of 6 as "The Voice of an Angel" having been featured on their YouTube channel, his voice has developed to a level of maturity way beyond his years. Please come along and enjoy a wonderful morning of entertainment where you will leave the Capri Theatre "Feeling Good" and knowing that you have supported a worthy cause. Ethan will also be in the foyer after the show and would love to say "Hi" to you.